You are here: Home / LIFESTYLE / Because the Baby Messes Keep Getting Messier…And That’s a Good Thing! This is a sponsored conversation written by me on behalf of P&G. The opinions and text are all mine.Comments submitted may be displayed on other websites owned by the sponsoring brand. The Newborn Stage Has Nothing on these Baby Messes! When I was pregnant, I was constantly told to be prepared for the baby messes and to accept the inevitably that children and parenting is dirty work. They talked about the immense amount of spit up and the blow outs that I would endure on a daily basis, and while this was all true, I feel like the baby messes are just getting worse the older Liam gets. I’m not saying the newborn stage wasn’t messy. We both got completely covered in spit up on a couple different occasions, and Liam somehow timed all of his blow outs for his new-to-diapers Daddy. Pretty sure he decided to enact revenge the other morning when he nicely got up to change Liam in the morning before work and did not actually put his diaper all the way up in the back. Come time for Liam’s morning constitutional, and the mess went right into his pants and not the diaper… gross! The PUFF Mess: Liam is now an independent snacker and while puffs and cereal are conveient and easy for him to eat, they also leave these little brown stains everyone because the kid hasn’t quite figured out how to keep every piece of every Puff in his mouth yet. I find half eaten puffs on his clothes, on the floor, on the carept, and even on my own clothes. Always leaving a little (or big) brown mark behind. The HIGH CHAIR Mess: Liam is also starting to feed himself which definitely makes a messier mess from my perspective than the normal baby spit up. No matter the bib, he will sometimes get it on his clothes, in his hair, and definitely all over the tray and dribbling down his arms. The OUTDOOR Mess: Every day the weather cooperates, Liam goes to the park – usually for some fun Dad and Son time. He loves swinging, trying to climb up the slides, and eating – I mean playing – in the grass. It’s so much fun watching him explore and be independent, but it also leads to grass and dirt stains. Plus the DIAPER Messes: I’m so thankful that besides a few early blow outs as his stomach settled and the horrible user malfunction i told you about already, our Pampers Swaddlers have treated us well. 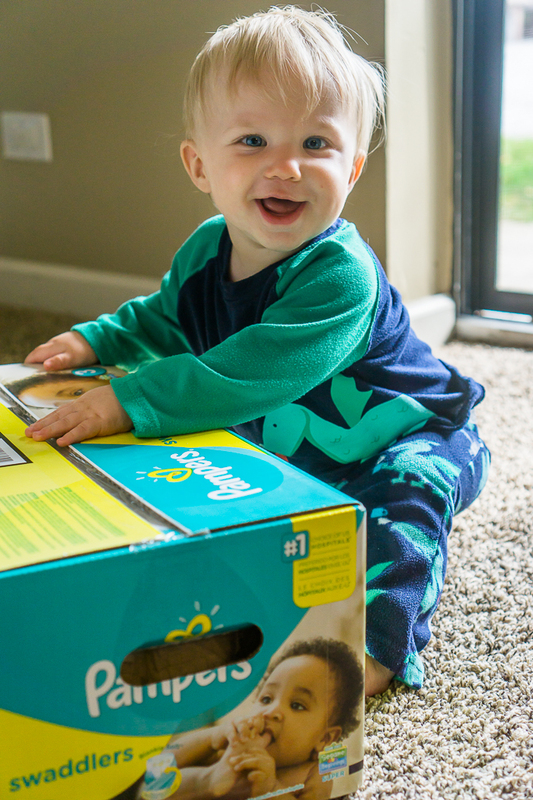 They are dependable and help us keep the diaper mess contained within the diaper! Thankfully Meijer has everything us parents need to battle every type of mess. 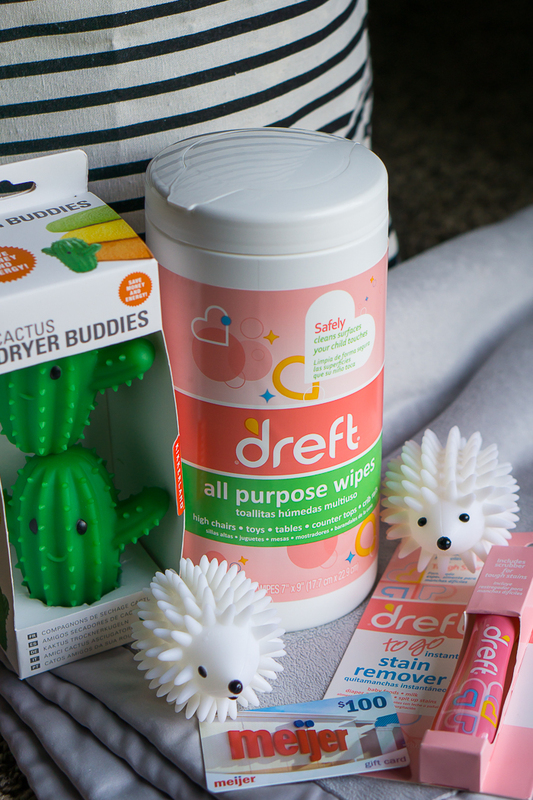 Pampers and Dreft are the perfect parenting team, offering protection from some baby messes plus solutions for the inevitable messes of childhood that will leave stains. 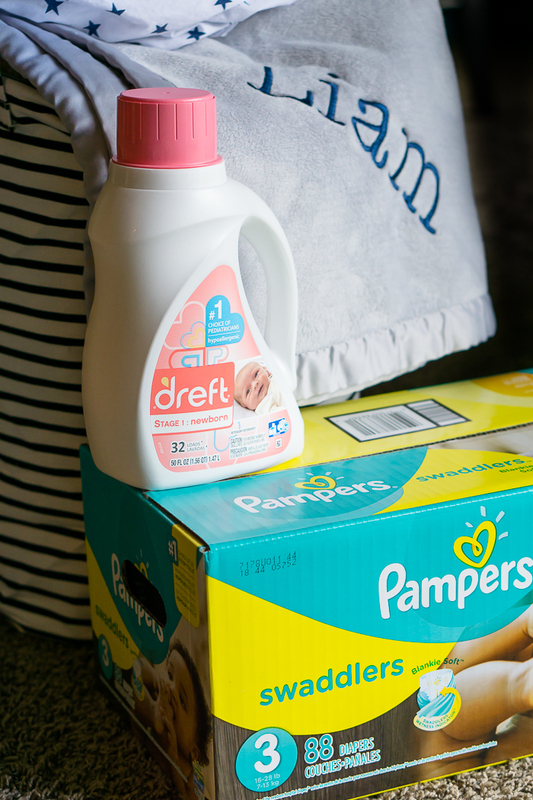 So why Dreft and Pampers? 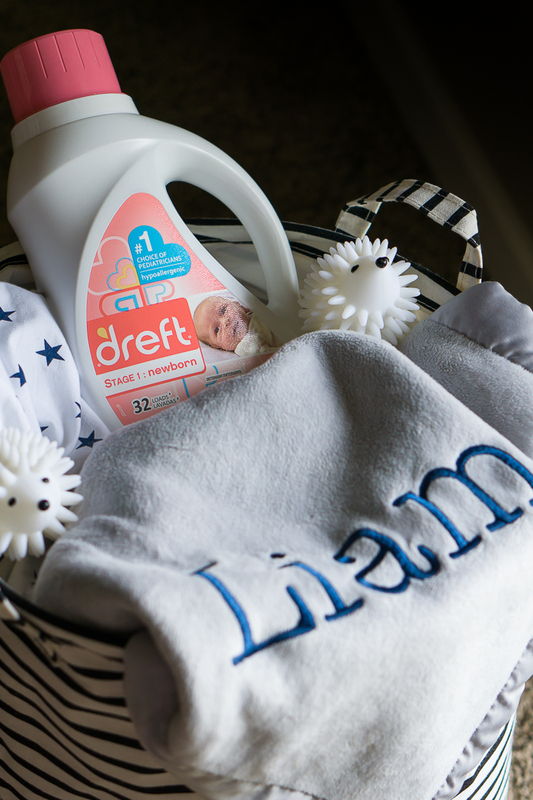 Dreft is the #1 choice of Pediatricians and has been used and loved by moms for over 80 years. The hypoallergenic formula is designed to be tough on stains while still gentle on baby’s skin, which we all know is important for our sensitive little babes. 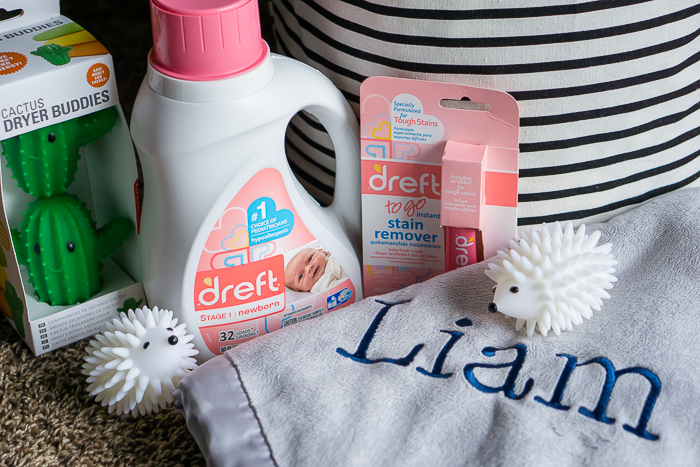 Plus, Dreft grows with baby as their stains get messier like Liam, so we are moving on to Stage 2 after we finish our current bottle. They even have Multi Purpose Wipes which are perfect for high chair messes and wiping down toys and a stain fighting pen which is awesome to carry around with you in the diaper bag. I’m pretty sure ours has treated as many baby messes as coffee stains. Pampers Swaddlers are the #1 Choice of Hospitals and have worked amazingly with Liam from day 1! They feature a unique Absorb Away Liner that pulls wetness and mess away from baby’s skin, which was great to avoid any extra irritation. They also feature a color changing wetness indicator that tells you when your baby might need a change. If you haven’t been convinced yet to add these to your parenting arsenal, how about this? 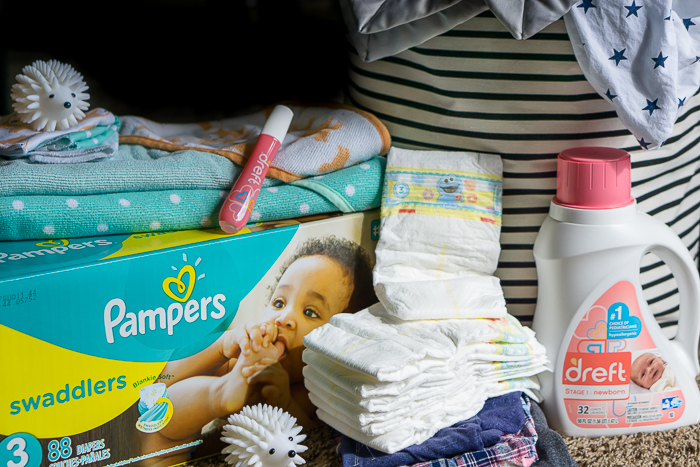 Get a FREE Dreft 50oz detergent when you buy 2 Pampers Super Packs diapers during the week of 8/20 at Meijer. Check your local store for more details! A winner will be chosen at random 8/29/17! I will email you and request your address so your prize package can be shipped to you. If winner does not respond within 48 hours, another winner will be chosen. One time we were visiting my in laws, and it was nap time for our baby girl so we put her on the playpen and when she woke up, we got a big surprise … somehow she managed to poop all over the playpen, it is amazing how someone so little could make such a big mess. Thanks for the chance to win! My messiest parenting moment was when my daughter got sick in the middle of the night in her crib. Super messy and gross. My messiest parenting moment was when my daughter suddenly got sick in the car on a 3 hour ride back after visiting family. She vomited everywhere twice and we had to pull over multiple times to clean the mess and keep changing her diaper which was awful. Thankfully it ended up being a stomach bug that cleared up after a few days. Some of the messiest moments are when they are “helping” in the kitchen. There are also milestones like their first birthday cake that are messy by design. Or when they first transition to solid foods!! The messiest moment so far was when she was sick and had vomited all over her crib. It was a disaster. All of the bedding had to be changed and she had to be washed off. This happened three times in one night. My son was 6 months old and had a major diaper blowout in his car seat. Of course we were far from home. I was cleaning him and the car seat on the side of the road. To make matters worse I didn’t have a extra set of clothes. One time my son took the powder and opened it. I had no idea. I found him covered I powder as well as the whole room. It was a mess!! Oh Dear, where do I begin LOL. I would have to say one of my parenting messing moments is when I actually was in a rush, heading out to the children area and forgot the wipes. So what better mess than having the little ones puke all over because of the bumping around . The one good thing is that I actually had a scarf tide to the carriage that I was using. So there went the scarf LOL.. but all worth it. This might be kind of gross but I guess you’re kind of asking for when you ask for messy stories! ?My two-month-old was a bit backed up for about five days so when he decided it was time to go, it was a real blowout! Just when we thought he was done, we were moving in the new diaper & a whole second round of poop came out! I think we went through two diapers, three sets of clothes, and probably half a container of wipes! My messiest parenting moment came when my daughter was about 19 months and climbing into everything. She dumped all the canister contents together, flour, sugar, coffee and tea and then dumped water on them and smeared it everywhere.